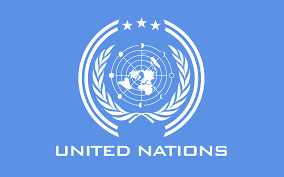 The United Nations, the International Committee of the Red and several people globally, today condemned the tragic killing of of an aid worker and midwife, Saifura Hussaini Ahmed Khorsa in Northeast Nigeria. On Thursday, 1st March, 2018, the Islamic State affiliate in West Africa (ISWAP), also known as Boko Haram attacked and overran a heavily guarded military facility in the small town of Rann in Northern Borno state. The invading forces wreaked remarkable havoc, with scores of casualties on soldiers and international aid workers. Three persons, a nurse and two midwives, connected with the work of some international aid agencies in the Lake Chad region were kidnapped. The ISWA forces also carted away military hardwares, arms and ammunition from the military base. It is not certain the exact casualty figures to the army. A statement from the Information Office of the UN Humanitarian Coordinator quotes Kallon, as saying that, “The killing of Ms. Hussaini, a young, dedicated and passionate midwife and humanitarian, is a cowardly, heinous and despicable act. While he sent condolences of the UN to the family of the deceased, including her two young children, and friends, Kallon however, called on the authorities to ensure the perpetrators were brought to justice. He also called for the immediate release of the two aid workers who are still being held. “This incident demonstrates the severe challenges that Nigeria continues to face, but will not deter the international community from providing aid to millions of Nigerians caught up in the conflict in the north-east. The United Nations stands in solidarity with the humanitarian community,” added Kallon. According to reports, the humanitarian community is currently providing life-saving assistance, including food, safe water and medicine, to over 60,000 internally displaced people in the camp in Rann, and millions more across the north-east. Some 3,000 aid workers are present in the north-east, the majority of whom are Nigerian nationals. The report added that the humanitarian crisis in the Northeast, which has spilled over into the Lake Chad region, is one of the most severe in the world today, with 7.7 million people in need of humanitarian assistance in 2018 in the worst-affected states of Borno, Adamawa and Yobe, and 6.1 million targeted for humanitarian assistance. 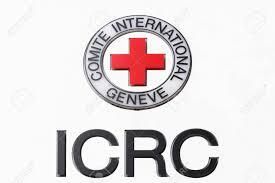 In a statement by the International Red Cross stated:"We are devastated by the murder of our colleague Saifura," said Eloi Fillion, the head of the ICRC delegation in Abuja. "Saifura moved to Rann to selflessly help those in need. Our thoughts are with her family and other loved ones at this incredibly difficult time."